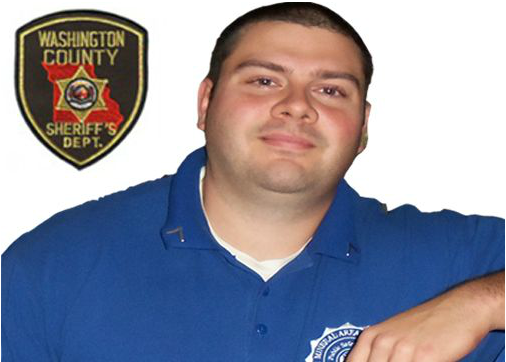 Christopher Parsons, a Washington County Sheriff’s Deputy who was shot and killed Saturday, December 15th 2012. Parsons started his career as a member of the Fredericktown Police Department. According to Supervisor Chief. Eric Hovis, he “was a joy to be around. “He just had such a good moral character,” said Hovis. “He was a strong guy, a big teddy bear. Parsons life was cut short by this cowardly act, while he was protecting and serving his community is just sad. We caught the suspect Saturday and that’s the first step in healing, but its going to be a long road.” Before being hired he participated in several ride along training sessions with Fredericktown Officers. Hovis said he was one of the top candidates in the selection process. 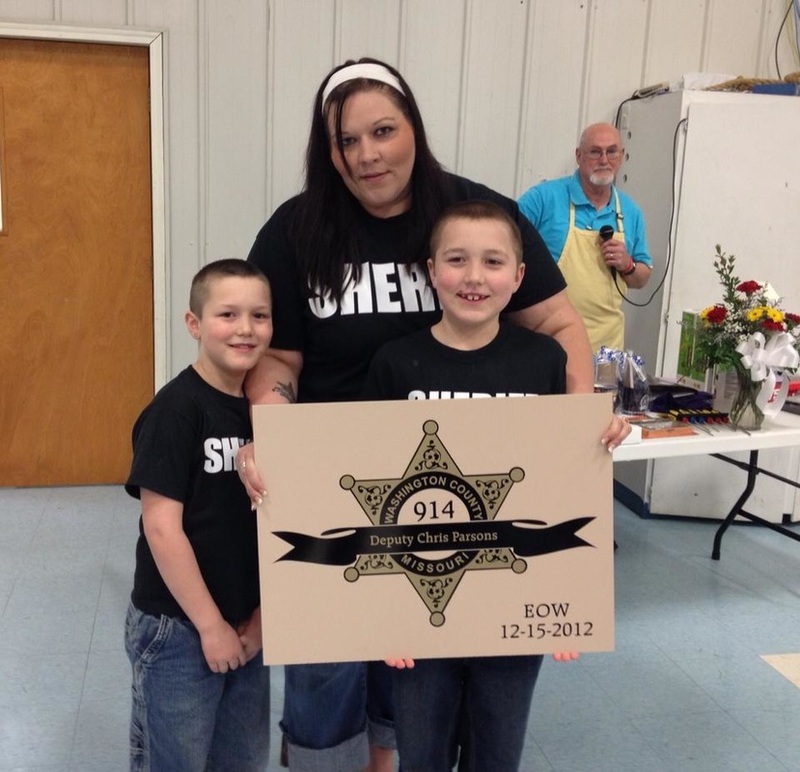 He was also one of the top of his class at the Mineral Area Law Enforcement Academy where he completed his training. Members of the Fredericktown Police Department SWAT team and law enforcement officers from across southeast Missouri assisted with the ensuing manhunt. Armed deputies set up roadblocks in the search area. K-9 officers and aerial support was also used in the search of the area, which is a mixture of abandoned strip mines, forest and hills. The primary suspect was apprehended the same day. According to police he was found in a vehicle on a county road. He was taken into custody without incident.. The Event was started as a form of networking for Tactical teams in the Southeast Missouri area. The day that Chris was taken away from us so cowardly there was a lot of confusion between TAC teams and departments. One department or TAC team didn't know what the other was doing because lack of communication and networking. This event has brought all the local SWAT/TAC Teams together as there are now joint trainings between teams and first name basis between team leaders and members. There have been several incidents in Southeast Missouri since Chris's incident where teams that have competed within the event were able to pick up the phone and contact another team and within an hour was on scene assisting in the incident. This event is open to all SWAT/TAC and law enforcement agencies. You don't have to be a SWAT/TAC Team to participate in this event as a team. Just a sworn law enforcement officer and have 4-7 other team members ready to compete and network. We look forward too seeing you at our event!!!! !